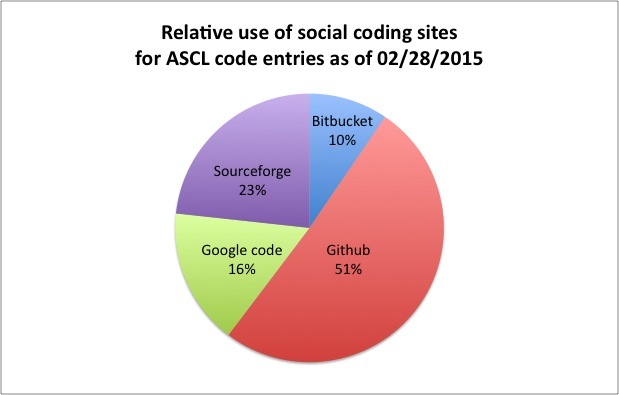 I’ve posted before about where the codes are; here’s a pie that shows the relative use of Github, Google Code, Bitbucket, and Sourceforge. Please note that because all the Starlink codes are in one Github repo, that repo is represented only once in the pie below. Want to do your own analysis? The site links (1080 of them at the moment, as some codes have more than one) are available here. Page rendered in 0.398 seconds. Blog powered by WordPress.